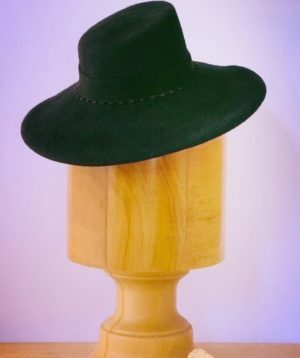 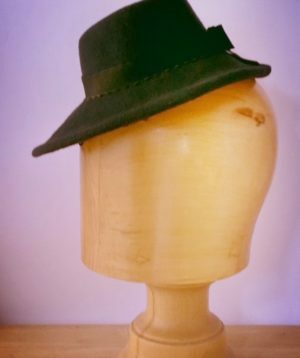 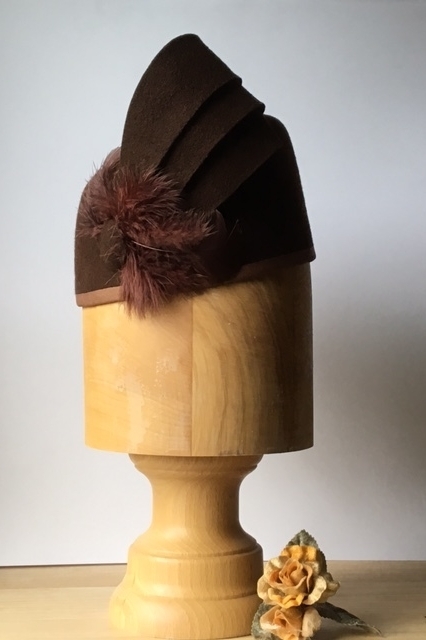 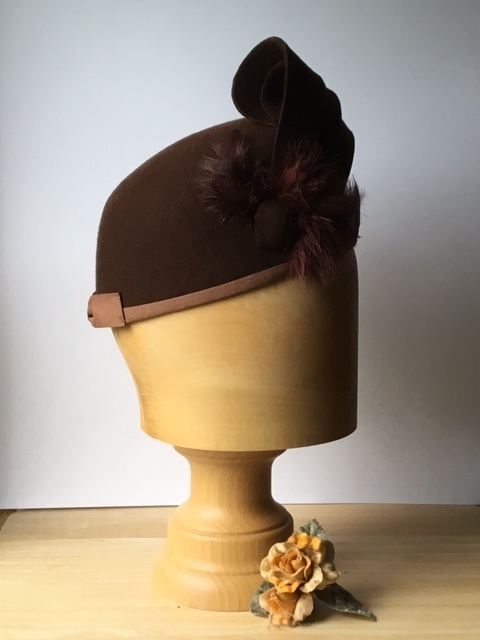 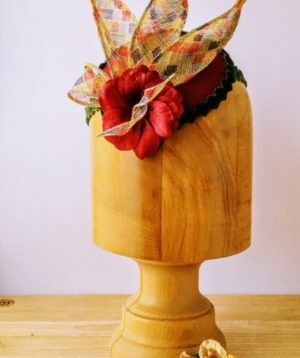 Another lovely ‘Bette’ pillar box style hat in a gorgeous brown. 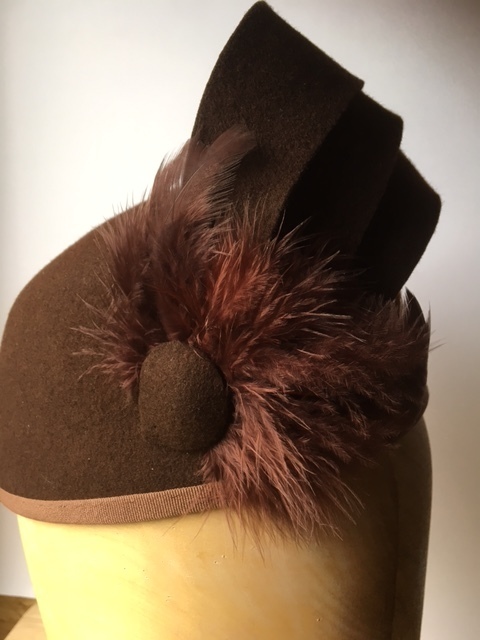 This hat is designed, stiffened with paris net and sits tilted forwards over the right eye with motif detail of feather and felt armour and button forwards. 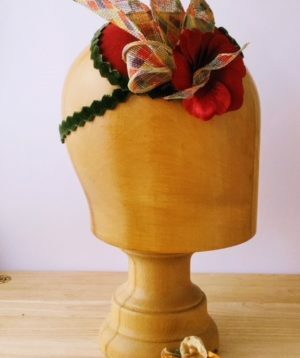 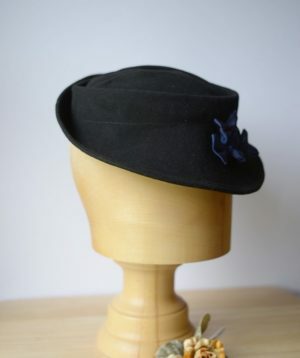 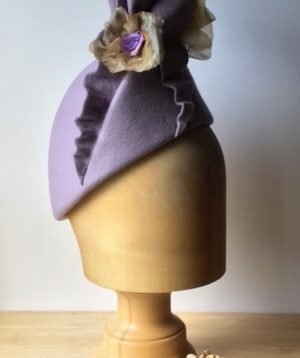 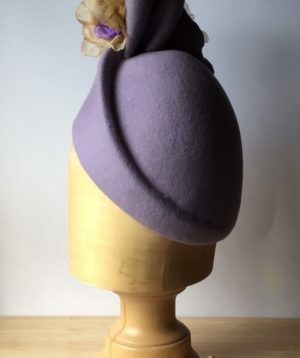 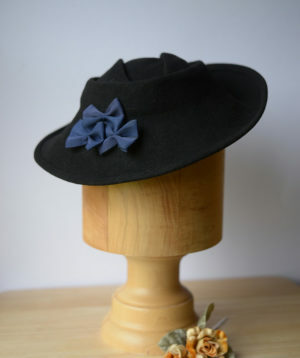 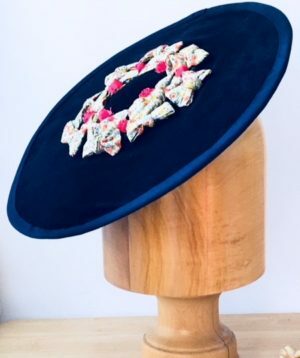 It is finished with a beige grosgrain ribbon and has no need of head fastenings. 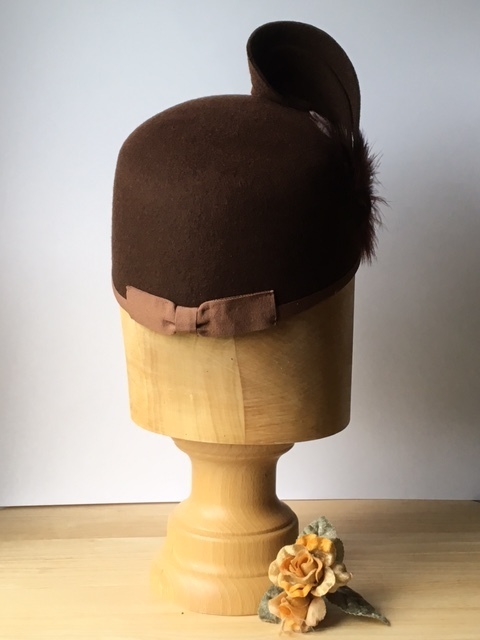 Inside it is finished with a brown hat lining and sweat band in petersham ribbon.